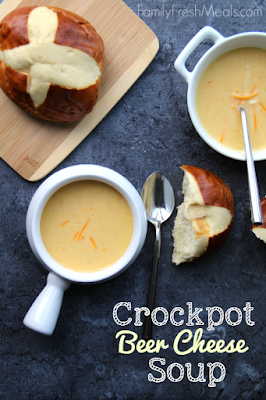 Winter is another good season to use your crockpot (the others are spring, summer and fall!) I like using the crockpot to make thicker stews and soups and meats that might require a lot of watching over. These Top Ten Winter Crockpot Meals are sure to warm your belly on those cold, cold days! 2. 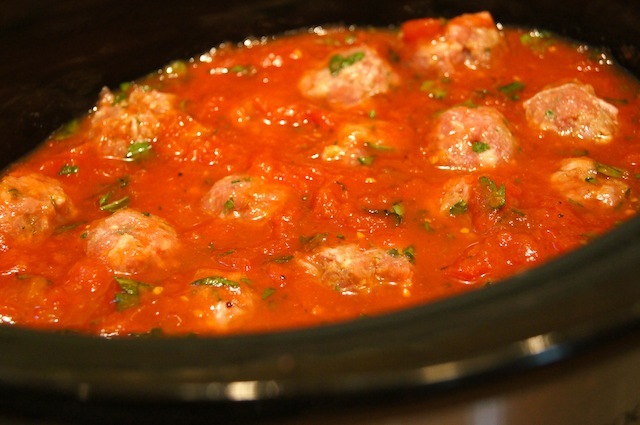 Turkey Meatballs from Mom's Kitchen Handbook will be good for your heart as well as your tummy! Serve in a shallow bowl with crusty french bread in order to sop up the red sauce. 3. Macaroni and Cheese in a slow cooker? Yes! 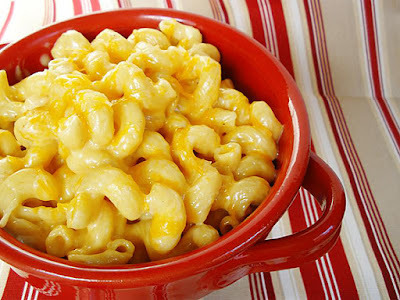 And, this version is creamy and delicious. 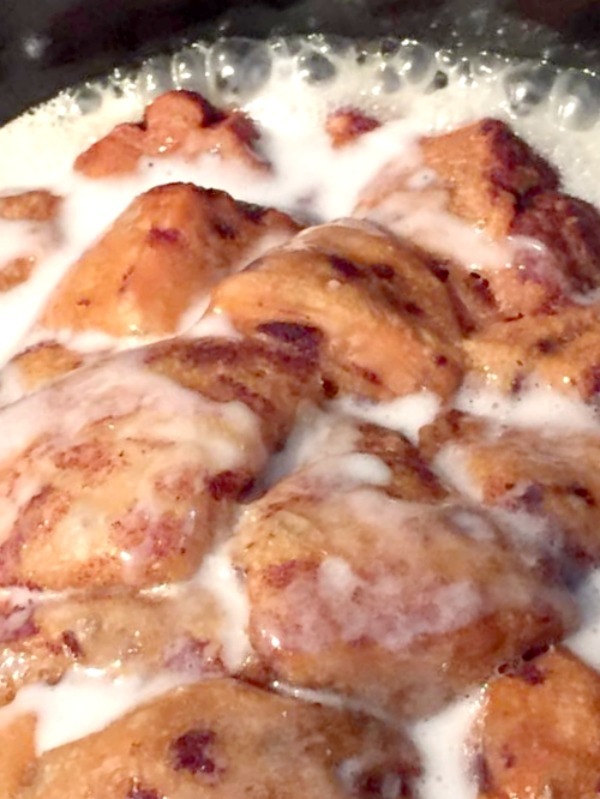 Check out this wonderful recipe from Culinary Cory and make your heart go a little faster! 5. 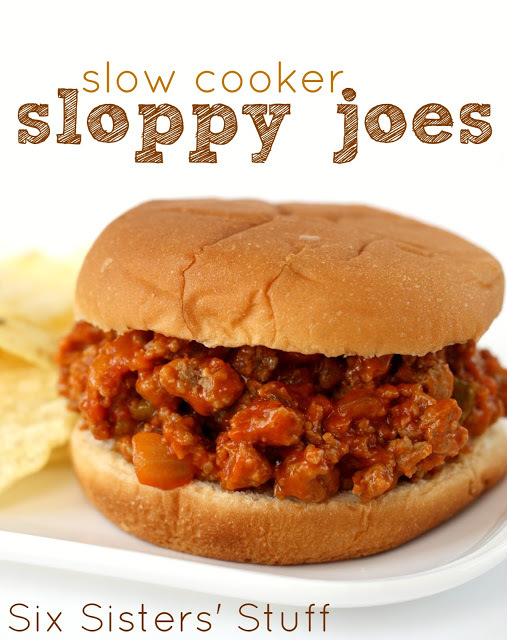 Slow cooker sloppy joes. One of my favorite meals, any time! These sandwiches, along with fruit and a great bun, will make suppertime a breeze. 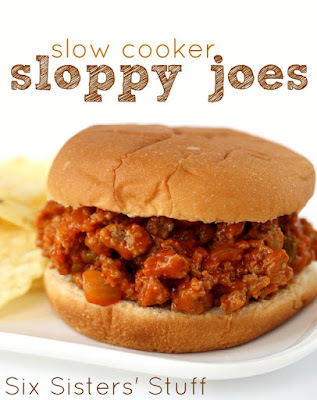 A great recipe from Six Sisters Stuff. 6. I love the simplicity of a baked potato in the winter. 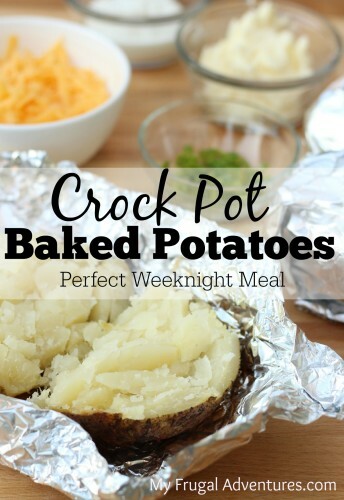 Topped with chili, butter and sour cream, or cheese, this becomes a meal all by itself. 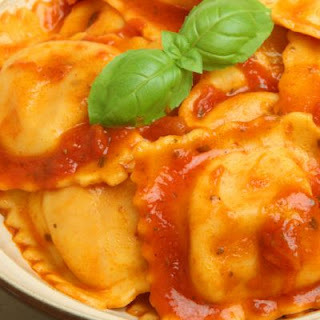 Serve with some sliced fruit and what a great meal! 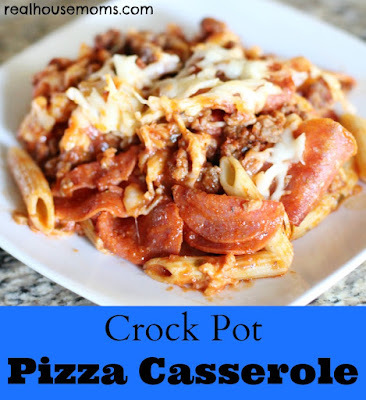 This beautiful recipe comes from My Frugal Adventures. 7. 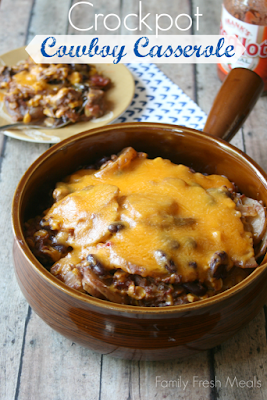 Another delightful crockpot meal from Family Fresh Meals is the Cowboy Casserole. What child wouldn't want to eat something with such a cool name? Loaded with cheese, this just looks right for a winter day! 8. When pizza delivery isn't available due to snow and ice, make this yummy pizza in a crock pot given to us by Real House Moms While this isn't real pizza, it is all the flavors of pizza in a dish that cooks in under three hours, so a perfect one to try when you forgot to set the timer! 9. Sometimes you just want a sweet for breakfast and the smell of this waking you up on a snow day just feels soooo gooood. Recipe from 16th and Bliss by Centsless. 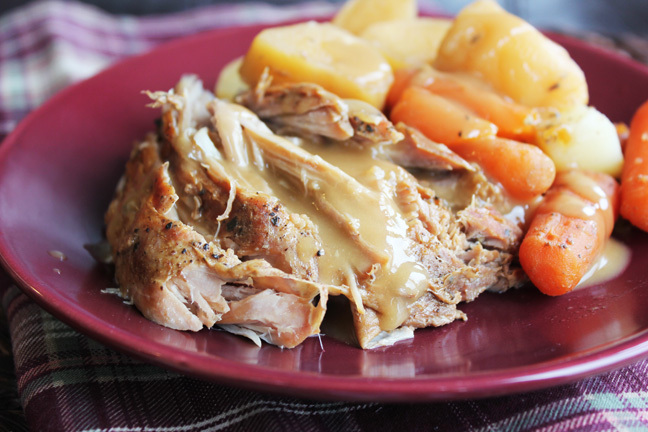 10. and, the wonderful pot roast, this one a pork one that will be delicious as a Friday night meal to share with guests or just to sit down together at Sunday Supper. Shared with us by Jamie Cooks it Up! 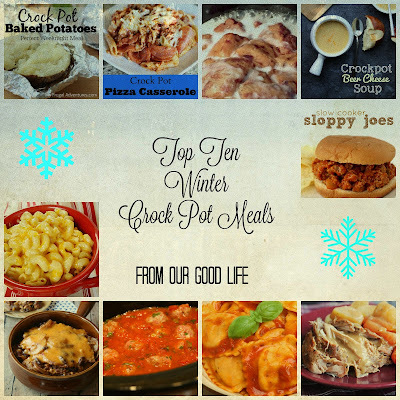 Go and check out these other Top Ten Winter posts. Games, snacks, ideas for your preschoolers, all kinds of ideas to celebrate the season of Winter! For other fabulous Winter Top Ten Posts, visit these blogs! Your winter will be fun and exciting and your families will thank you!